Even the best EDI translators on the market – EDI/HQ™ and EDI Complete – cannot turn invalid data content into valid data in your customer’s application. EDI is all about delivering valid data content. If your customer cannot integrate your EDI transactions without manual intervention, you are adding cost to the business process. EDI is all about delivering business transactions rapidly. EDI data can be delivered using a variety of communications methods, based on the needs of the trading partners. Each communications method (FTP, Secure FTP, AS2, VAN connections) can be incorporated into EDI processes and schedules. 1 EDI Source can assist with products and services in order to meet the requirements of all your trading partners. EDI is all about supporting business, regardless of the type (Manufacturing, Transportation, Retail, Wholesale, Banking, Healthcare, Education and more). There are EDI transactions available to convey the data to trading partners. 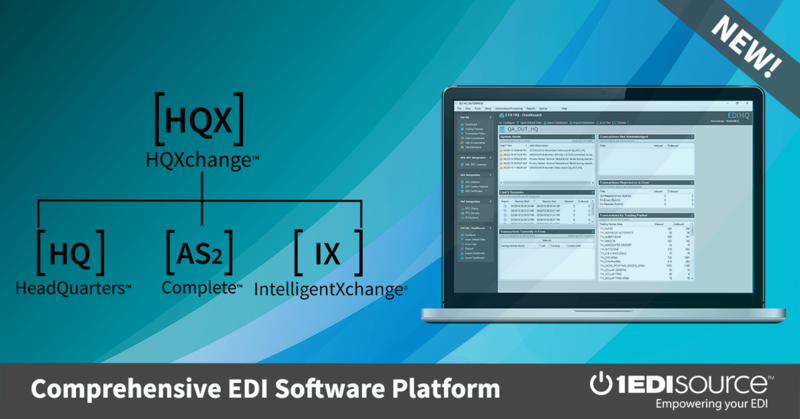 EDI is all about improving business through data integration, such as Oracle Gateway Data Formats, SAP IDOCs, XML, and ODBC connections. These integration tools allow data to flow from dissimilar ERP (Enterprise Resource Planning) systems. 1 EDI Source can help you develop an EDI integration business model to fit your needs. Get to know your data because the contents are helping to drive business forward. The information contained within the data provides the basis for production planning, logistics, materials management, purchasing, sales, inventory, banking and remittances. Knowing your data gives you a competitive advantage in any trading partner relationship. Knowing your data can help increase supplier ratings, reduce or eliminate chargeback costs, forecast accurately and manage inventory. 1 EDI Source products and services will help you grow your business and build better relationships with your trading partners. Contact us today to find the perfect solution for your unique business needs!